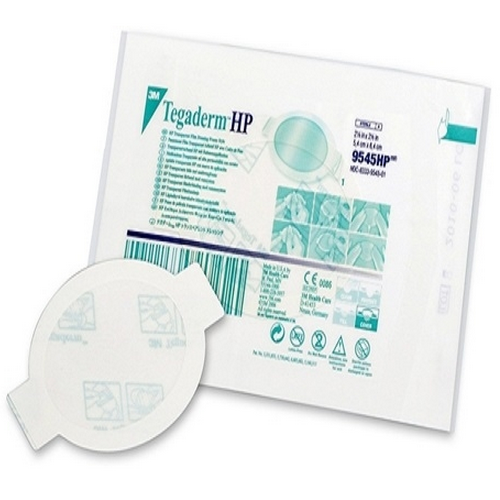 Tegaderm HP Transparent Dressing is a sterile, waterproof adhesive bandage that is designed to be simultaneously thin and transparent. 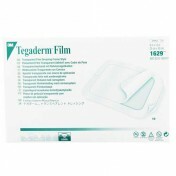 Equipped with an adhesive that is specifically formulated to provide a high level of holding power under moist skin conditions, this film dressing is both sturdy and reliable for use over long periods of time. 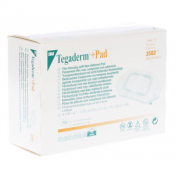 Tegaderm HP Dressing is an adhesive bandage that provides a breathable bacterial and viral barrier against outside contaminants. 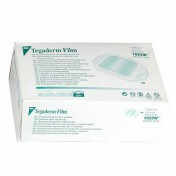 This Tegaderm film dressing has undergone laboratory testing and contains a viral barrier against both HIV-1 and HBV. 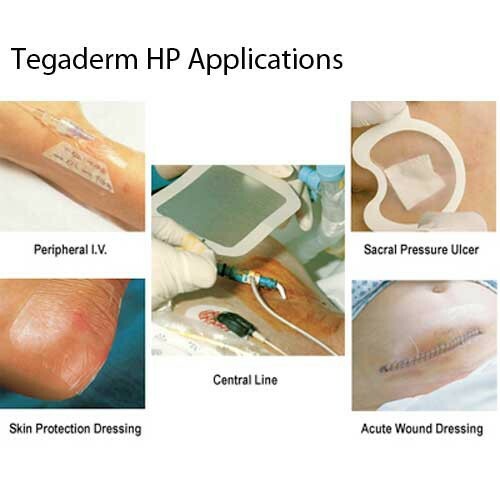 Each one of these dressings remains completely intact during use and prevents against exudate leakage. 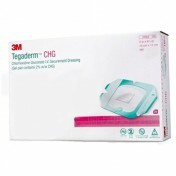 You might also be interested in these other Tegaderm dressings, including CHG IV, hypoallergenic dressings or Plus Pad Transparent Dressing by 3M. 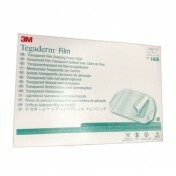 Sterile, waterproof, thin, transparent film dressing. 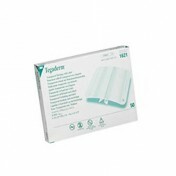 Designed with an adhesive that's specially formulated to provide greater Holding Power under moist skin conditions. 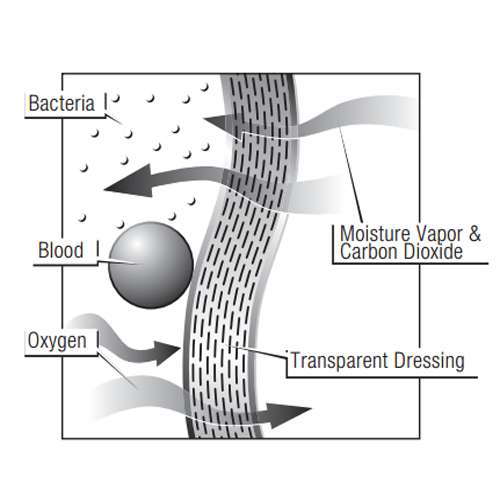 Provides a breathable bacterial and viral barrier to outside contaminants. 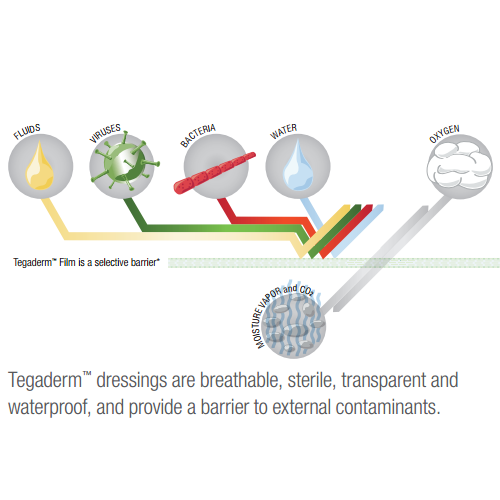 Laboratory testing has proven Tegaderm dressings provide a viral barrier (HIV-1 and HBV) while the dressings remain intact without leakage. Product numbers: 9534HP, 9536HP, 9543HP, 9545HP, 9546HP, 9548HP. Sizes: 2 3/8 x 2 3/4 Inch, Picture Frame Style with Label (9534HP), 4 x 4 3/4 Inch, Picture Frame Style with Label (9536HP), Sacral - 4 1/2 x 4 3/4 Inch, Picture Frame Style (9543HP), Oval, 2-1/8 x 2-1/2 Inch, Picture Frame Style (9545HP), Oval - 4 x 4 1/2 Inch, Picture Frame Style with Label (9546HP), Oval - 5 1/2 Inch, x 6 1/2 Inch, Picture Frame Style with label (9548HP). 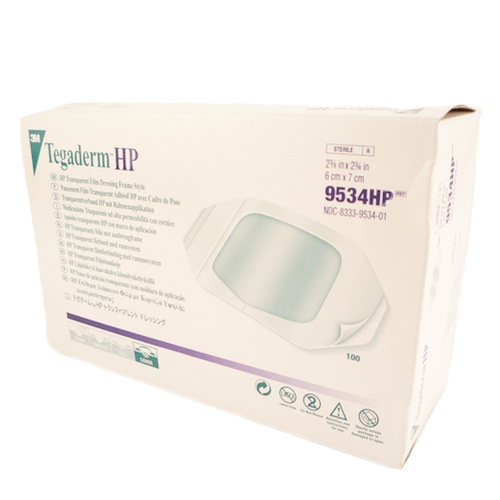 HP Brochure provides features and benefits for this product line. 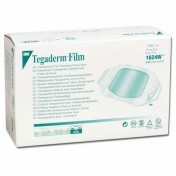 Product Use Instructions offers detailed information about application and removal. SDS Information Guide contains information for safe handling. 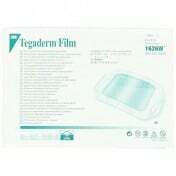 I use the Tegaderm HP Transparent Dressing over my pain patches as I perspire alot and the Tegaderm dressing keeps the pain patches from coming off even in the pool. I would recommend these to anyone that needs to keep patches or bandages on. They stay on even in the shower. Use to cover small area in abdomen for my insulin pump attachment. It covers well. Protects from getting infected and water. And I still can see insertion area to watch for redness or if any drainage. Very happy with product. I use these dressings to protect my blood glucose sensor and transmitter assembly that is part of my continuous glucose monitoring system. 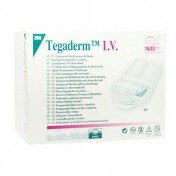 The tegaderm keeps it safe and secure. I just use these to protect wounds on my hands and arms! They stay in place until the wound is healed (not like bandaids which are always falling off!) and let you ensure that the wound isn't getting infected. And they are not so obvious as bandaids. They act like a scab but don't get knocked off like a scab. Can't get by without them now. 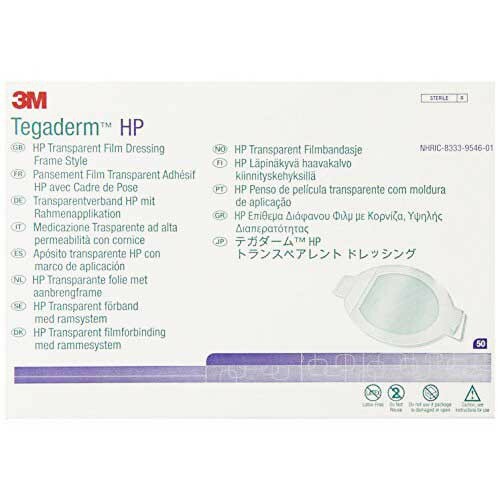 I use the Tegaderm HP Transparent Dressing over my pain patches as I perspire alot and the Tegaderm keeps the pain patches from coming off even in the pool. I would recommend these to anyone that needs to keep patches or bandages on. 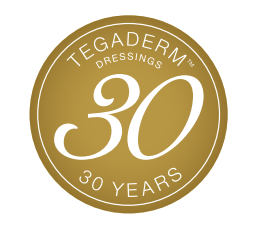 Never thought I would be a Tegaderm pro, but life is full of surprises. 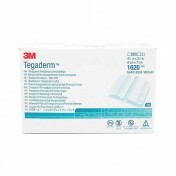 Tegaderm is a fine product. 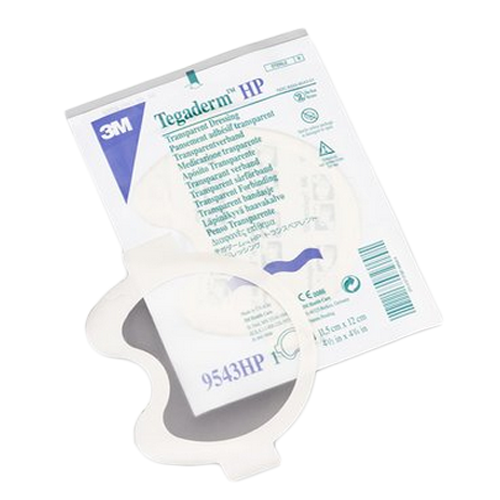 If 3M made a 5"x5" transparent dressing, that would completely cover the standard universally used 4"x4" gauze dressing that it is supposed to cover, then it would be a perfect world. 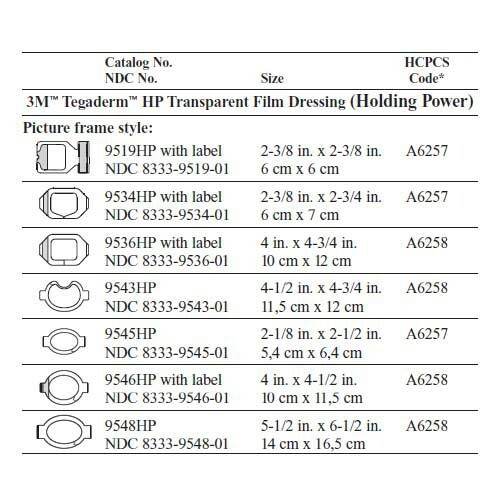 3M has figured out that they can sell twice as many transparent dressings by producing a mere 4"x4.5" transparent covering, which is nice, but ineffective size-wise. 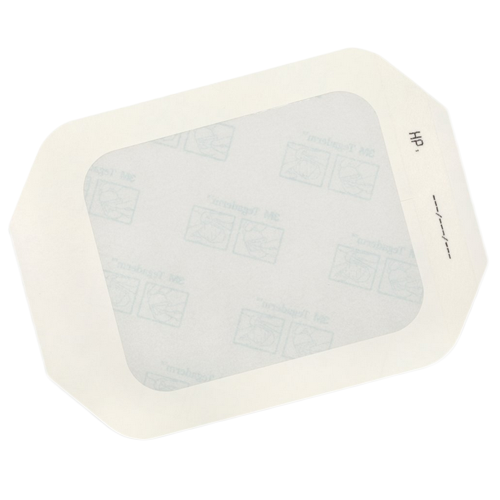 Vitality Medical is the only place I found that sells an oval 5"x6" transparent Tegaderm dressing that really covers the 4x4 gauze. Good price too. Thank you. Use for my insulin pump - CGM device and they really are the best. Good quality and gret price here! Have recommended to others and will continue to do so. 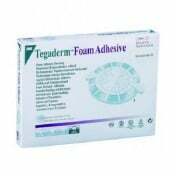 It is considered to be a sterile, waterproof dressing that is made in a way to offer strong adhesive for holding back the adhesive for long. It is best suited for challenging conditions that may implicate hot, humid environments. If it is used for diphoretic patients, recovery becomes faster. It acts as a viral barrier for all the disease like, HIV-1 and HBV. The contaminents are not allowed to enter wound.